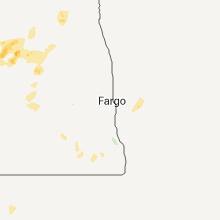 The Lisbon, ND area has had 5 reports of on-the-ground hail by trained spotters, and has been under severe weather warnings 14 times during the past 12 months. 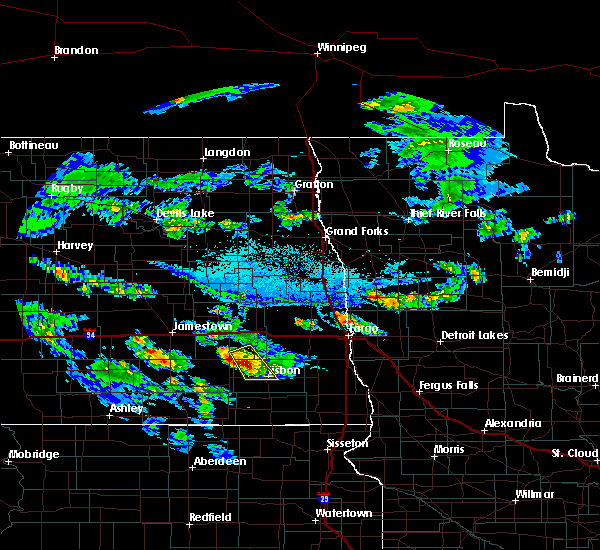 Doppler radar has detected hail at or near Lisbon, ND on 31 occasions, including 6 occasions during the past year. 7/4/2018 4:08 AM CDT The severe thunderstorm warning for ransom, southwestern cass, western richland and sargent counties will expire at 415 am cdt, the storms which prompted the warning have weakened below severe limits, and no longer poses an immediate threat to life or property. therefore, the warning will be allowed to expire. however gusty winds are still possible with these thunderstorms. a severe thunderstorm watch remains in effect until 900 am cdt for southeastern north dakota. 7/4/2018 3:42 AM CDT At 342 am cdt, severe thunderstorms were located along a line extending from enderlin to 6 miles southeast of ludden, moving east at 55 mph (radar indicated). Hazards include 60 mph wind gusts and quarter size hail. Hail damage to vehicles is expected. expect wind damage to roofs, siding, and trees. 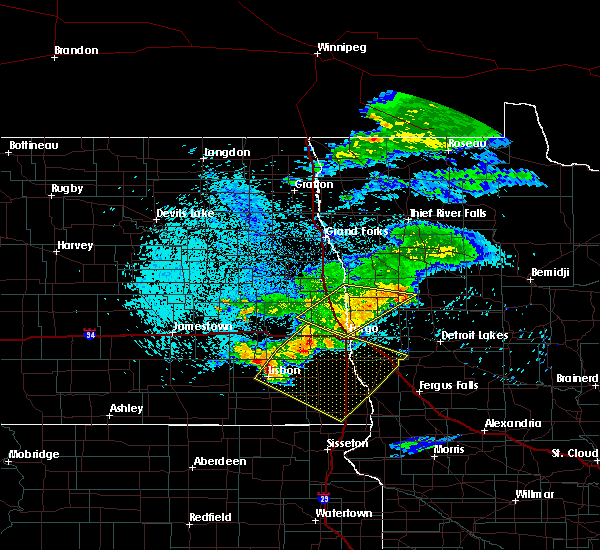 these severe storms will be near, enderlin, sheldon and anselm around 345 am cdt. brampton around 355 am cdt. havana around 400 am cdt. barrie and rutland around 405 am cdt. Walcott around 415 am cdt. 7/4/2018 3:09 AM CDT At 309 am cdt, severe thunderstorms were located along a line extending from little yellowstone to near guelph, moving east at 55 mph (radar indicated). Hazards include 60 mph wind gusts and quarter size hail. Hail damage to vehicles is expected. expect wind damage to roofs, siding, and trees. severe thunderstorms will be near, little yellowstone and fort ransom state park around 310 am cdt. 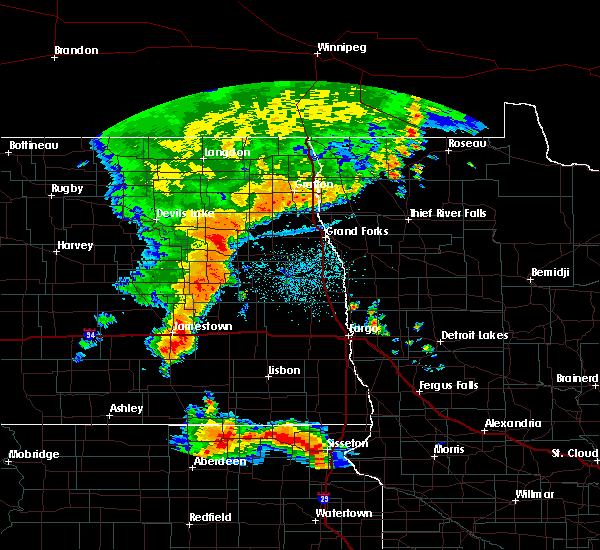 enderlin and straubville around 330 am cdt. 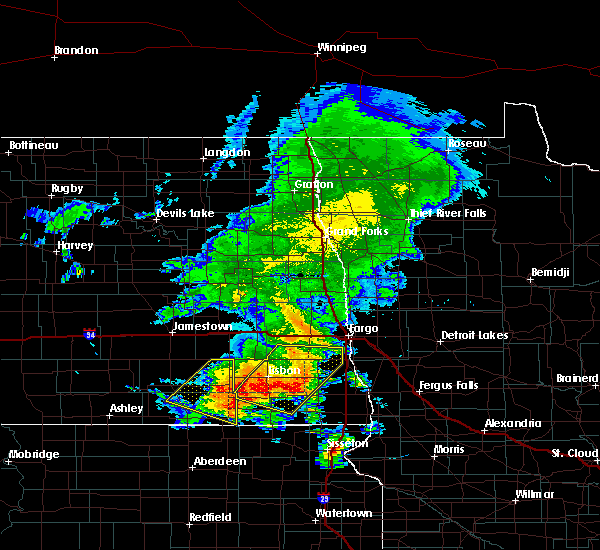 sheldon and anselm around 335 am cdt. brampton around 340 am cdt. Havana around 345 am cdt. 7/2/2018 9:33 PM CDT Quarter sized hail reported 10.1 miles NNE of Lisbon, ND, very heavy rains and a few large hail. 7/2/2018 9:29 PM CDT Quarter sized hail reported 10.1 miles NNE of Lisbon, ND, very heavy rains and a few large hail. 6/29/2018 3:59 AM CDT At 345 am cdt, severe thunderstorms were located along a line extending from near oriska to near fort ransom to near crete, moving east at 50 mph (radar indicated). Hazards include 60 mph wind gusts and nickel size hail. Expect damage to roofs, siding, and trees. 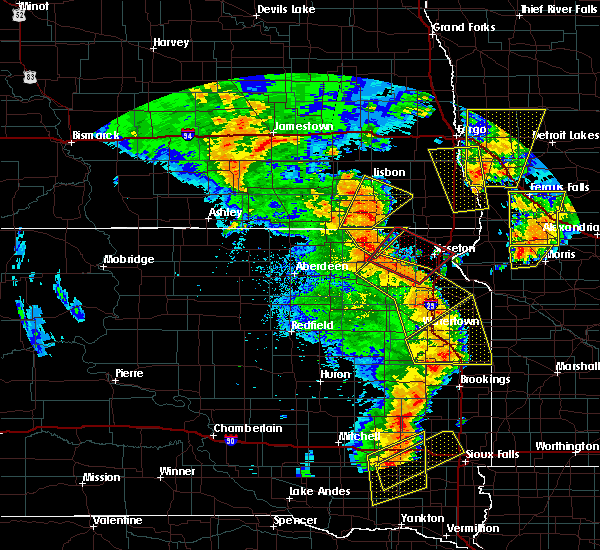 these severe storms will be near, tower city and lisbon around 355 am cdt. 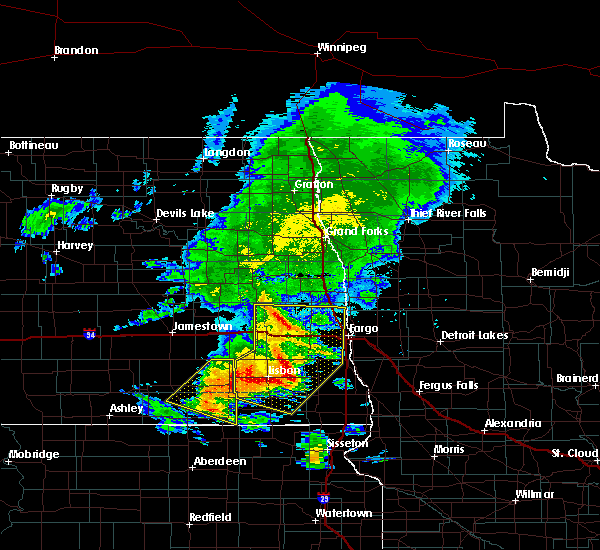 buffalo, forman and gwinner around 400 am cdt. 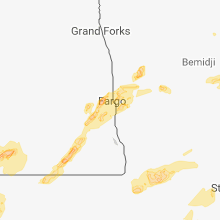 anselm, venlo and sheldon around 405 am cdt. 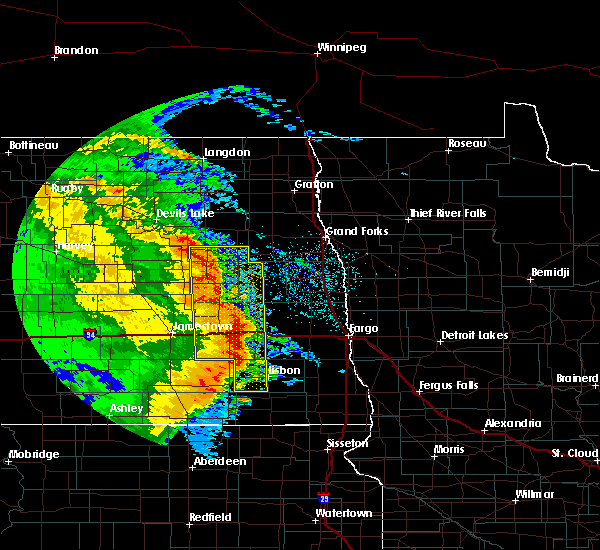 milnor around 410 am cdt. wheatland, hamlin and cayuga around 415 am cdt. This includes interstate 94 in north dakota between mile markers 272 and 326. 6/29/2018 3:45 AM CDT At 345 am cdt, severe thunderstorms were located along a line extending from near oriska to near fort ransom to near crete, moving east at 50 mph (radar indicated). Hazards include 60 mph wind gusts and nickel size hail. Expect damage to roofs, siding, and trees. these severe storms will be near, tower city and lisbon around 355 am cdt. 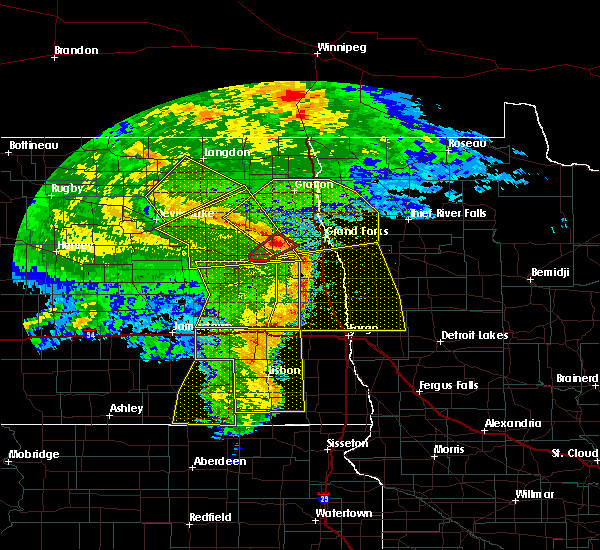 buffalo, forman and gwinner around 400 am cdt. 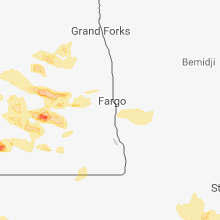 anselm, venlo and sheldon around 405 am cdt. 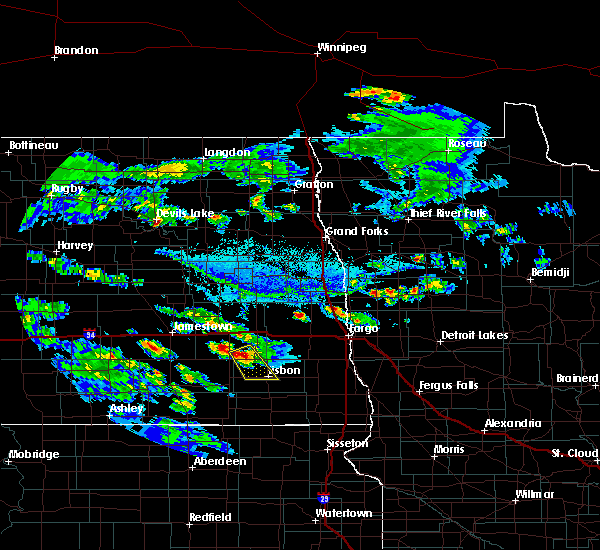 milnor around 410 am cdt. wheatland, hamlin and cayuga around 415 am cdt. This includes interstate 94 in north dakota between mile markers 272 and 326. 6/29/2018 3:16 AM CDT At 315 am cdt, severe thunderstorms were located along a line extending from urbana to near dickey to near monango, moving east at 50 mph (radar indicated). Hazards include 60 mph wind gusts and nickel size hail. Expect damage to roofs, siding, and trees. 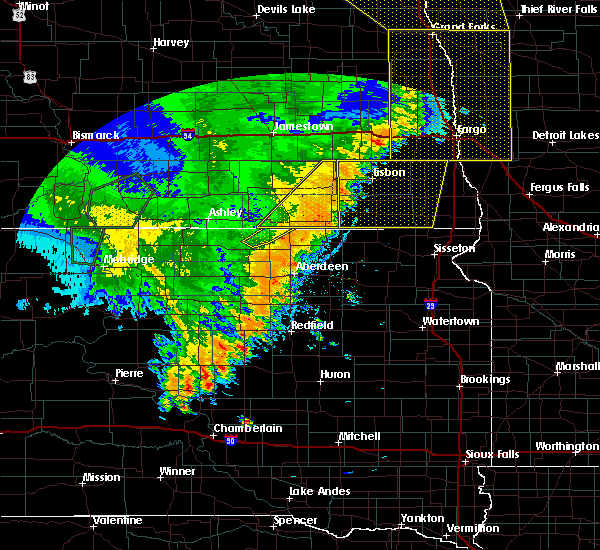 severe thunderstorms will be near, eckelson around 320 am cdt. sanborn around 325 am cdt. valley city around 335 am cdt. fort ransom and fort ransom state park around 340 am cdt. oriska and elliott around 350 am cdt. This includes interstate 94 in north dakota between mile markers 272 and 326. 6/16/2018 8:06 AM CDT At 806 am cdt, severe thunderstorms were located along a line extending from near elliott to near leonard to near brushvale, moving north at 45 mph (radar indicated). Hazards include 60 mph wind gusts and quarter size hail. Hail damage to vehicles is expected. expect wind damage to roofs, siding, and trees. these severe storms will be near, kent, brushvale and barrie around 810 am cdt. leonard around 815 am cdt. little yellowstone around 820 am cdt. davenport around 825 am cdt. nome and lucca around 830 am cdt. This includes interstate 29 between mile markers 18 and 50. 6/15/2018 1:28 AM CDT At 127 am cdt, a severe thunderstorm was located over sheldon, or 33 miles southeast of valley city, moving northeast at 60 mph (radar indicated). Hazards include 60 mph wind gusts and quarter size hail. Hail damage to vehicles is expected. expect wind damage to roofs, siding, and trees. 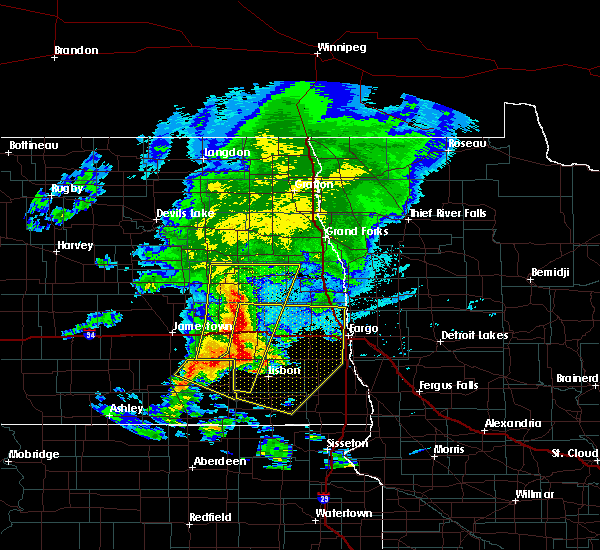 This severe storm will be near, leonard around 140 am cdt. 6/15/2018 1:01 AM CDT At 101 am cdt, a severe thunderstorm was located near englevale, or 39 miles south of valley city, moving northeast at 45 mph (radar indicated). Hazards include 60 mph wind gusts and quarter size hail. Hail damage to vehicles is expected. expect wind damage to roofs, siding, and trees. 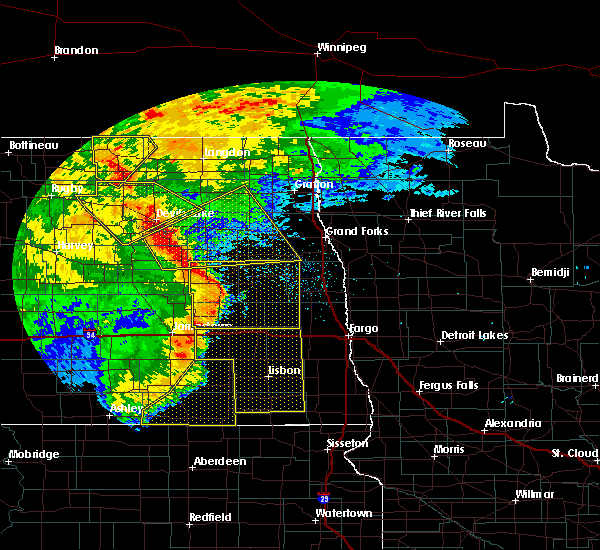 this severe thunderstorm will be near, englevale around 105 am cdt. elliott around 110 am cdt. lisbon around 120 am cdt. 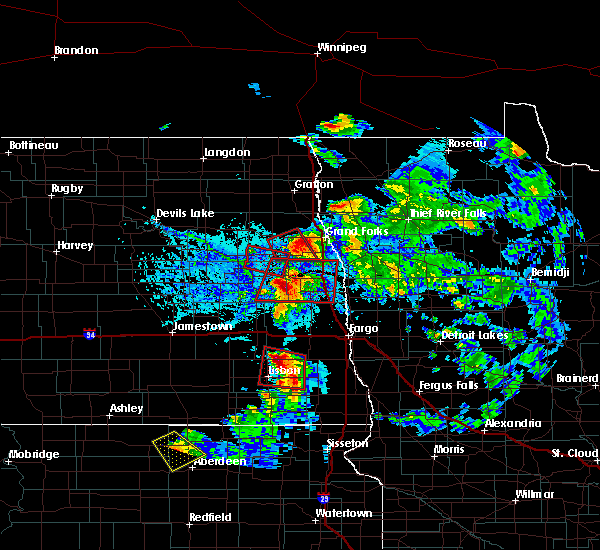 enderlin, sheldon and anselm around 135 am cdt. 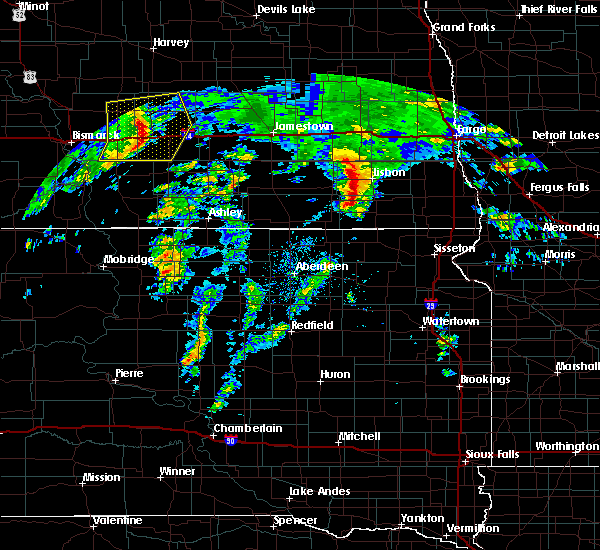 Leonard around 145 am cdt. 9/19/2017 9:04 PM CDT At 904 pm cdt, a severe thunderstorm was located near forman, or 22 miles northeast of britton, moving northeast at 35 mph (radar indicated). Hazards include 60 mph wind gusts and quarter size hail. Hail damage to vehicles is expected. expect wind damage to roofs, siding, and trees. this severe thunderstorm will be near, rutland around 905 pm cdt. cayuga around 915 pm cdt. 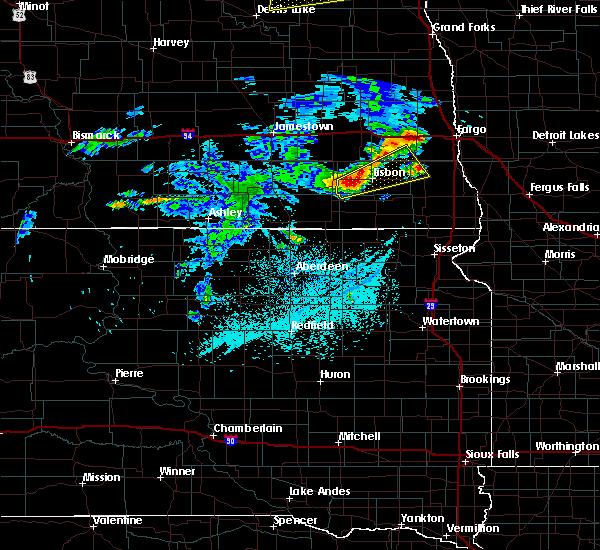 milnor and hamlin around 925 pm cdt. de lamere around 930 pm cdt. wyndmere and mcleod around 940 pm cdt. this includes interstate 29 between mile markers 23 and 30. A tornado watch remains in effect until midnight cdt for southeastern north dakota. 7/31/2017 9:45 PM CDT At 945 pm cdt, a severe thunderstorm was located near buffalo, or 19 miles east of valley city, moving south at 35 mph (radar indicated). Hazards include 60 mph wind gusts and quarter size hail. Hail damage to vehicles is expected. expect wind damage to roofs, siding, and trees. this severe storm will be near, alice around 1000 pm cdt. lucca around 1005 pm cdt. 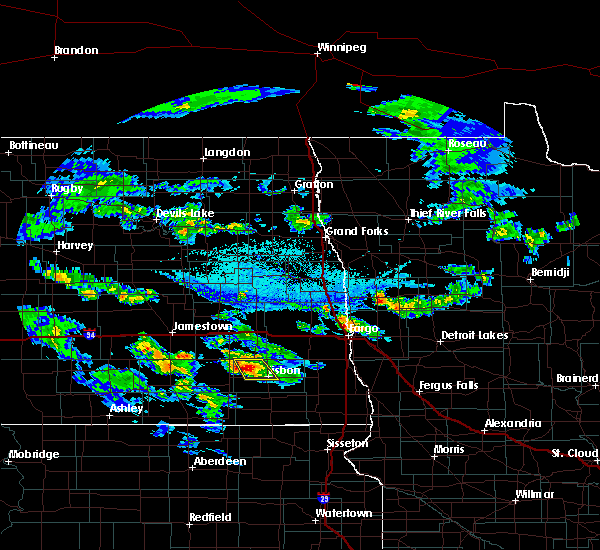 enderlin, sheldon and anselm around 1015 pm cdt. This includes interstate 94 in north dakota between mile markers 301 and 317. 7/31/2017 9:23 PM CDT At 922 pm cdt, a severe thunderstorm was located 5 miles north of tower city, or 17 miles east of valley city, moving south at 40 mph (radar indicated). Hazards include 60 mph wind gusts and half dollar size hail. Hail damage to vehicles is expected. expect wind damage to roofs, siding, and trees. this severe thunderstorm will be near, tower city and oriska around 930 pm cdt. buffalo around 935 pm cdt. 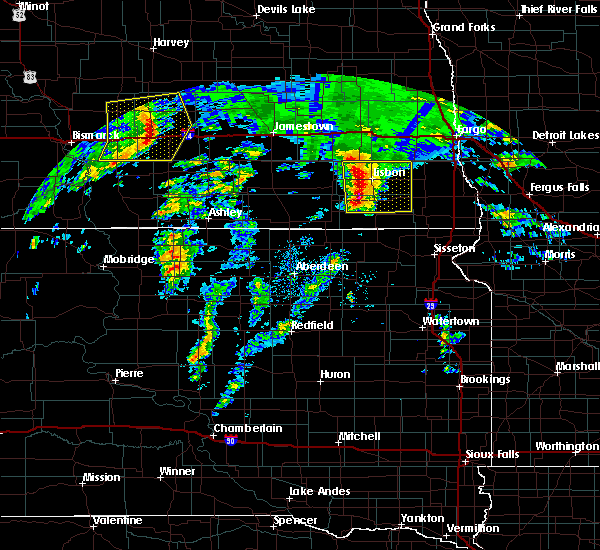 alice around 950 pm cdt. lucca around 955 pm cdt. enderlin around 1005 pm cdt. This includes interstate 94 in north dakota between mile markers 301 and 317. 6/13/2017 7:48 PM CDT At 748 pm cdt, a severe thunderstorm was located near cogswell, or 22 miles north of britton, moving northeast at 45 mph (radar indicated). Hazards include 60 mph wind gusts and quarter size hail. Hail damage to vehicles is expected. expect wind damage to roofs, siding, and trees. this severe storm will be near, forman and stirum around 750 pm cdt. 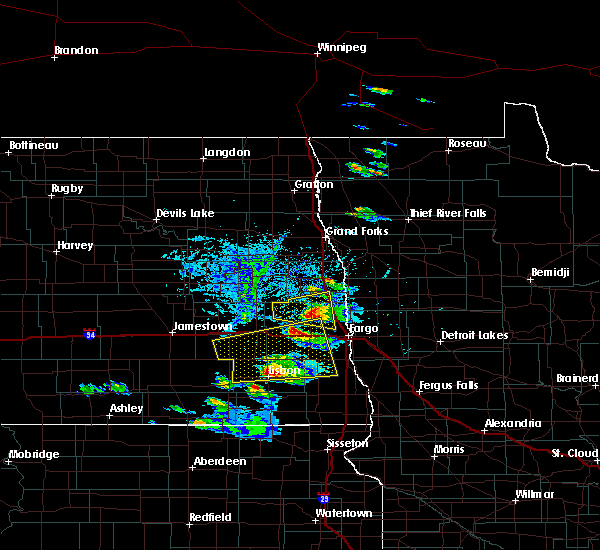 gwinner around 755 pm cdt. Milnor around 805 pm cdt. 6/13/2017 7:27 PM CDT At 726 pm cdt, a severe thunderstorm was located over brampton, or 14 miles north of britton, moving northeast at 25 mph (radar indicated). Hazards include 60 mph wind gusts and quarter size hail. Hail damage to vehicles is expected. expect wind damage to roofs, siding, and trees. 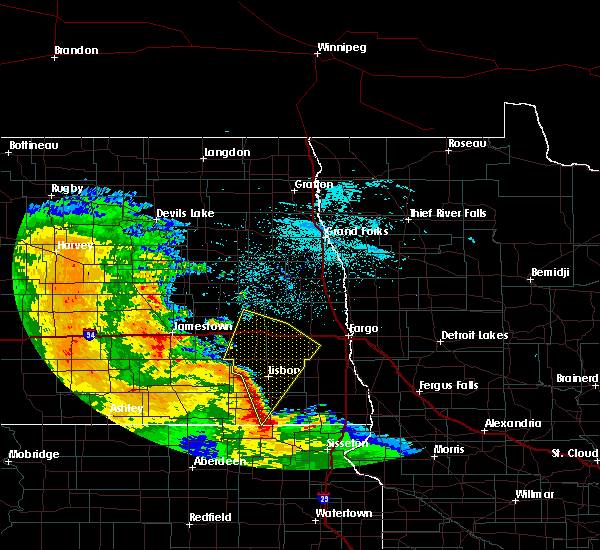 this severe thunderstorm will be near, brampton around 730 pm cdt. cogswell around 745 pm cdt. forman around 755 pm cdt. 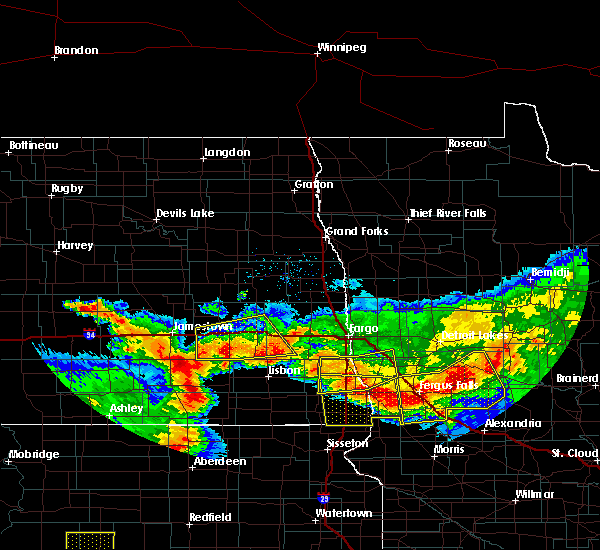 stirum around 800 pm cdt. 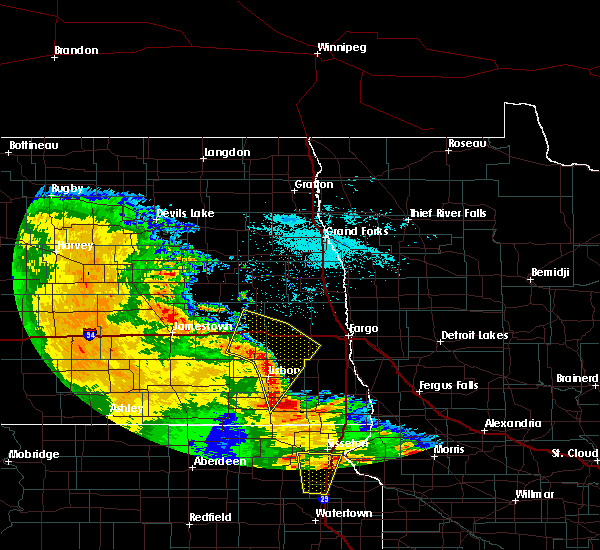 Gwinner around 810 pm cdt. 6/13/2017 5:20 AM CDT At 519 am cdt, severe thunderstorms were located along a line extending from 8 miles north of hastings to lucca to near anselm, moving northeast at 45 mph (radar indicated). Hazards include 70 mph wind gusts and penny size hail. Expect considerable tree damage. damage is likely to mobile homes, roofs, and outbuildings. 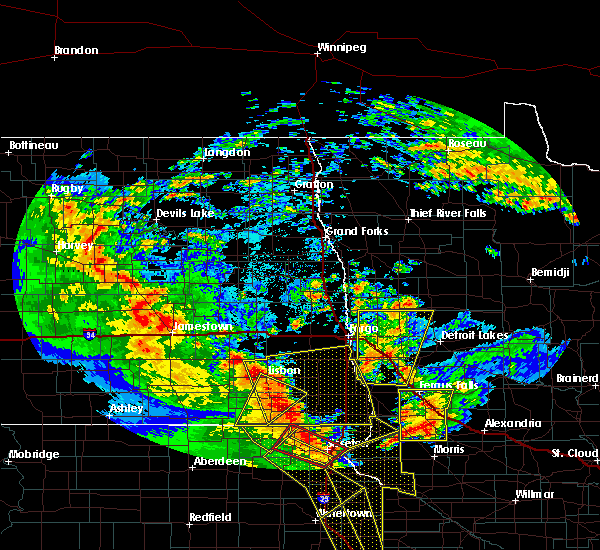 these severe storms will be near, fingal around 525 am cdt. alice around 530 am cdt. valley city around 535 am cdt. buffalo and tower city around 540 am cdt. leonard around 545 am cdt. This includes interstate 94 in north dakota between mile markers 292 and 329. 6/13/2017 4:58 AM CDT At 457 am cdt, severe thunderstorms were located along a line extending from near marion to fort ransom to near gwinner, moving northeast at 45 mph (radar indicated). Hazards include 70 mph wind gusts and penny size hail. Expect considerable tree damage. damage is likely to mobile homes, roofs, and outbuildings. 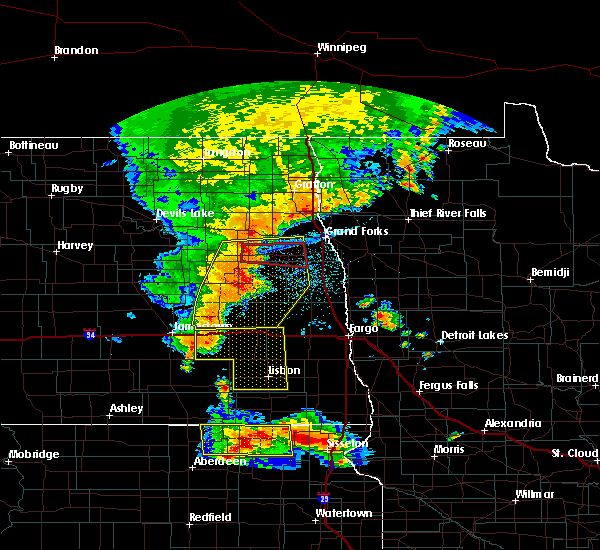 severe thunderstorms will be near, fort ransom around 500 am cdt. little yellowstone and elliott around 505 am cdt. lisbon, nome and hastings around 510 am cdt. lucca around 515 am cdt. fingal around 520 am cdt. This includes interstate 94 in north dakota between mile markers 292 and 329. 6/13/2017 4:07 AM CDT At 405 am cdt, severe thunderstorms were located along a line extending from near merricourt city to near ellendale to near hecla to near houghton to near groton, moving northeast at 50 mph (radar indicated). Hazards include 70 mph wind gusts and quarter size hail. Expect considerable tree damage. Wind damage is also likely to mobile homes, roofs, and outbuildings. 9/7/2016 3:22 PM CDT At 321 pm cdt, severe thunderstorms were located along a line extending from near alice to near milnor, moving east at 40 mph. this storm produced golf ball sized hail north of stirum around 3 pm cdt (radar indicated). Hazards include tennis ball size hail and 60 mph wind gusts. People and animals outdoors will be injured. expect hail damage to roofs, siding, windows, and vehicles. expect wind damage to roofs, siding, and trees. 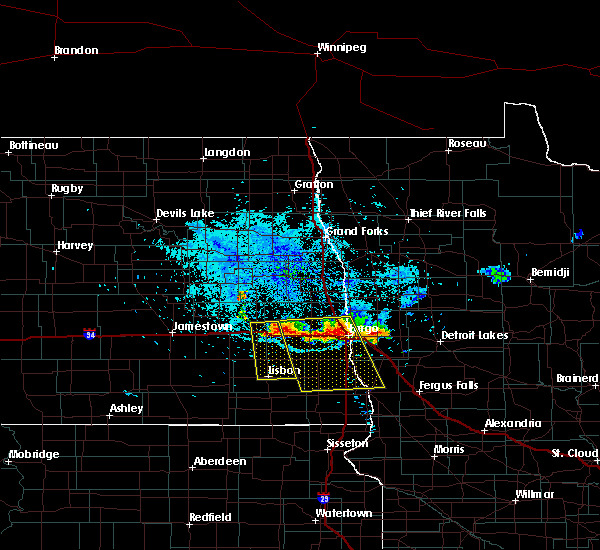 these severe storms will be near, de lamere around 335 pm cdt. Mcleod around 340 pm cdt. 9/7/2016 3:01 PM CDT At 301 pm cdt, severe thunderstorms were located along a line extending from near nome to near stirum, moving east at 40 mph (radar indicated). Hazards include tennis ball size hail and 60 mph wind gusts. People and animals outdoors will be injured. expect hail damage to roofs, siding, windows, and vehicles. expect wind damage to roofs, siding, and trees. 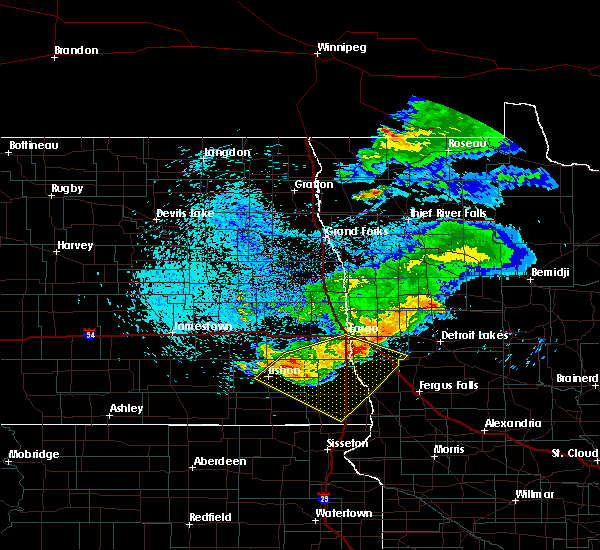 these severe storms will be near, gwinner and forman around 310 pm cdt. enderlin around 315 pm cdt. milnor around 325 pm cdt. de lamere around 335 pm cdt. Mcleod around 340 pm cdt. 9/7/2016 2:54 PM CDT At 253 pm cdt, severe thunderstorms were located along a line extending from little yellowstone to near stirum, moving east at 40 mph (radar indicated). Hazards include 60 mph wind gusts and half dollar size hail. Hail damage to vehicles is expected. expect wind damage to roofs, siding, and trees. severe thunderstorms will be near, forman around 305 pm cdt. 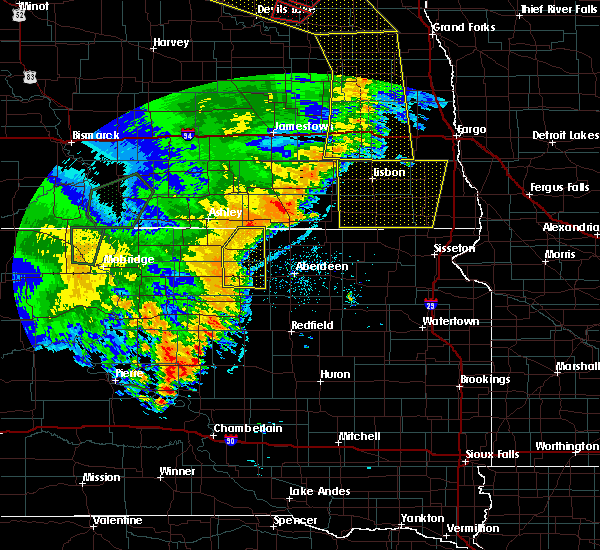 gwinner around 310 pm cdt. enderlin around 315 pm cdt. milnor around 325 pm cdt. De lamere around 330 pm cdt. 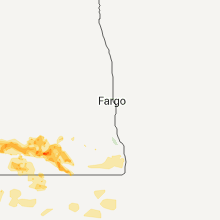 8/18/2016 8:29 AM CDT At 828 am cdt, a severe thunderstorm was located over mcleod, or 35 miles west of wahpeton, moving southeast at 45 mph (radar indicated). Hazards include 60 mph wind gusts and quarter size hail. Hail damage to vehicles is expected. expect wind damage to roofs, siding, and trees. 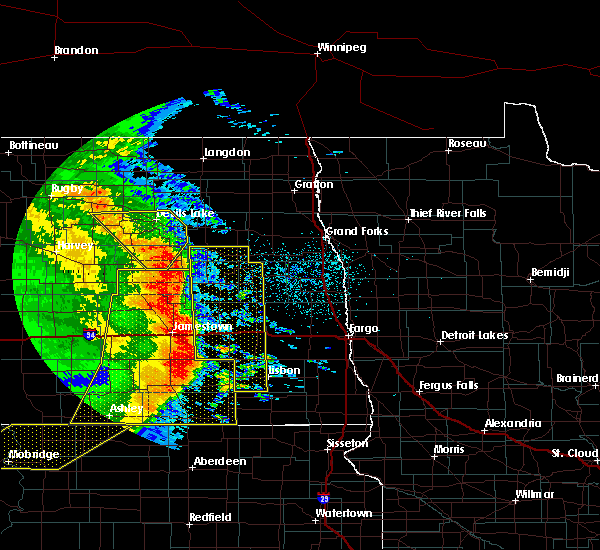 this severe storm will be near, mcleod around 830 am cdt. De lamere around 835 am cdt. 8/18/2016 8:18 AM CDT At 817 am cdt, severe thunderstorms were located along a line extending from near absaraka to near venlo to stirum, moving southeast at 45 mph (radar indicated). Hazards include 70 mph wind gusts and quarter size hail. Hail damage to vehicles is expected. expect considerable tree damage. wind damage is also likely to mobile homes, roofs, and outbuildings. 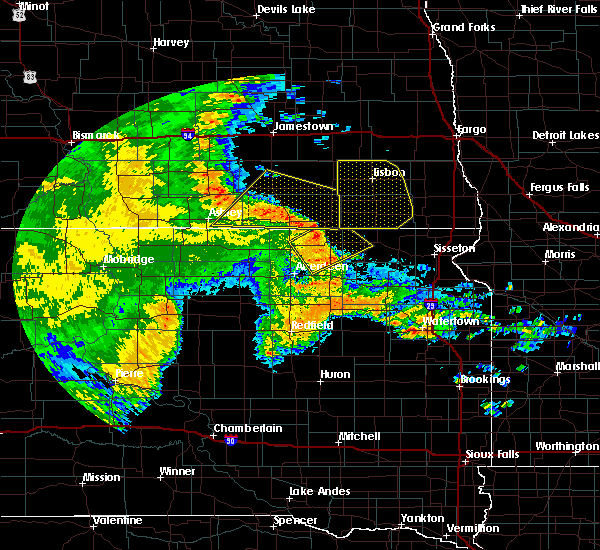 these severe storms will be near, venlo around 820 am cdt. mcleod around 825 am cdt. forman and casselton around 830 am cdt. prosper around 835 am cdt. 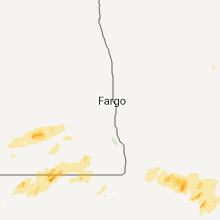 west fargo, mapleton and harwood around 840 am cdt. 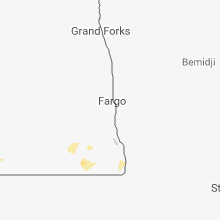 also includes the following highways, interstate 29 between mile markers 71 and 88. Interstate 94 in north dakota between mile markers 302 and 348. 8/18/2016 7:52 AM CDT At 751 am cdt, severe thunderstorms were located along a line extending from near pillsbury to near nome to near la moure city, moving east at 40 mph (public. at 720 am...thunderstorm winds overturned a semi truck on i-94 at mile marker 278). Hazards include 70 mph wind gusts and quarter size hail. Hail damage to vehicles is expected. expect considerable tree damage. wind damage is also likely to mobile homes, roofs, and outbuildings. severe thunderstorms will be near, nome, pillsbury and fingal around 755 am cdt. lucca around 800 am cdt. page around 805 am cdt. enderlin and ayr around 810 am cdt. erie around 815 am cdt. 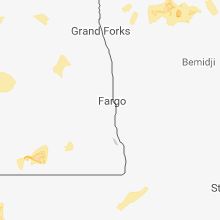 also includes the following highways, interstate 29 between mile markers 71 and 88. Interstate 94 in north dakota between mile markers 291 and 348. 7/11/2016 12:00 AM CDT At 1200 am cdt, severe thunderstorms were located along a line extending from mcville to near oriska to near fort ransom, moving east at 60 mph (radar indicated). Hazards include 70 mph wind gusts. Expect considerable tree damage. damage is likely to mobile homes, roofs, and outbuildings. these severe storms will be near, oriska, fort ransom and englevale around 1205 am cdt. elliott around 1210 am cdt. 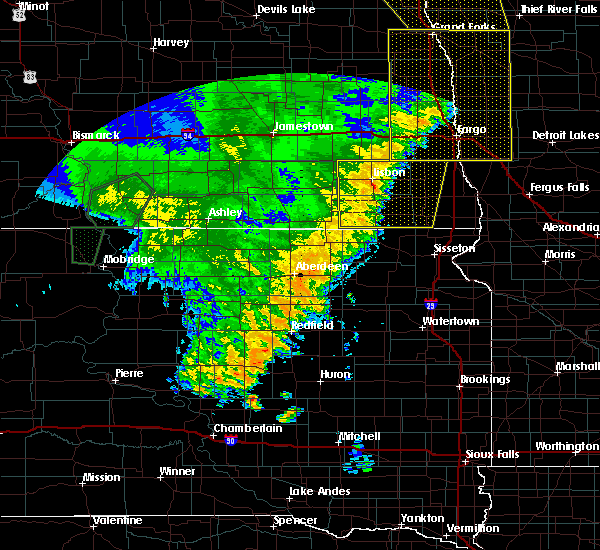 lisbon around 1215 am cdt. Also includes interstate 94 in north dakota between mile markers 271 and 306. 7/10/2016 11:34 PM CDT At 1133 pm cdt, severe thunderstorms were located along a line extending from near hamar to near adrian, moving east at 45 mph (radar indicated). Hazards include 70 mph wind gusts. Expect considerable tree damage. damage is likely to mobile homes, roofs, and outbuildings. 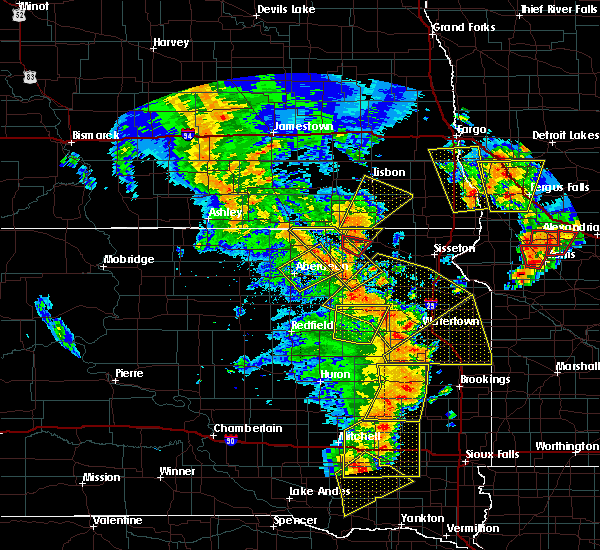 severe thunderstorms will be near, tolna around 1145 pm cdt. 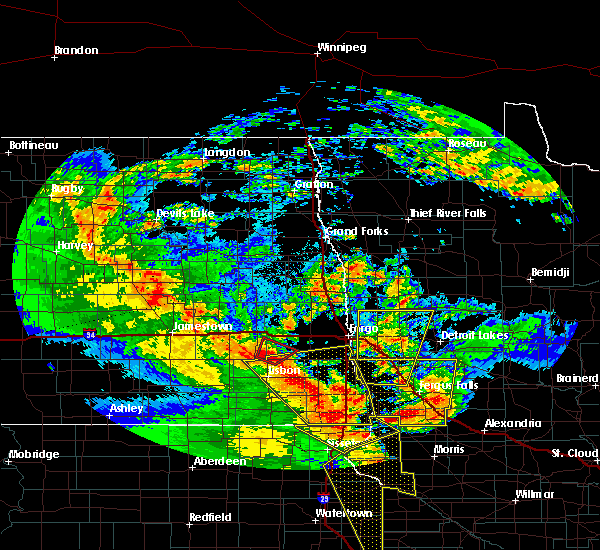 litchville and pekin around 1150 pm cdt. mcville and hastings around 1155 pm cdt. 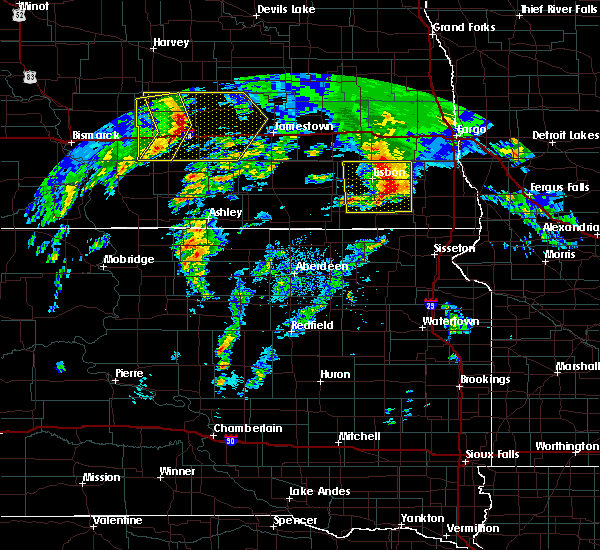 kathryn around 1200 am cdt. little yellowstone and kloten around 1205 am cdt. Also includes interstate 94 in north dakota between mile markers 271 and 306. 7/10/2016 12:11 AM CDT At 1210 am cdt, severe thunderstorms were located along a line extending from near alice to near hastings to 7 miles northwest of marion, moving south at 25 mph (radar indicated). Hazards include 60 mph wind gusts and quarter size hail. Hail damage to vehicles is expected. expect wind damage to roofs, siding, and trees. severe thunderstorms will be near, litchville, alice and hastings around 1220 am cdt. little yellowstone around 1235 am cdt. 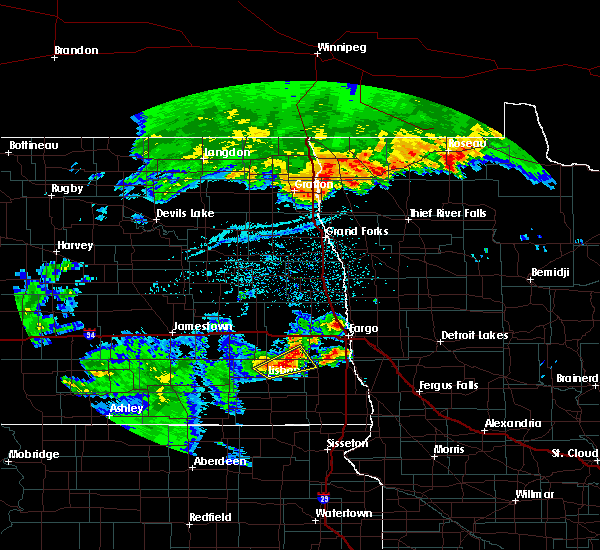 enderlin around 1240 am cdt. sheldon and fort ransom around 1250 am cdt. 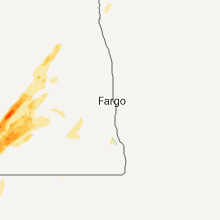 anselm around 100 am cdt. 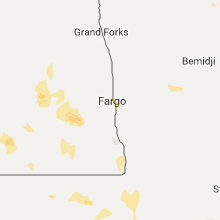 Also includes interstate 94 in north dakota near mile marker 318. 6/29/2016 7:39 PM CDT The severe thunderstorm warning for northwestern ransom county will expire at 745 pm cdt, the storm which prompted the warning has weakened below severe limits, and no longer pose an immediate threat to life or property. therefore the warning will be allowed to expire. however small hail is still possible with this thunderstorm. to report severe weather, contact your nearest law enforcement agency. 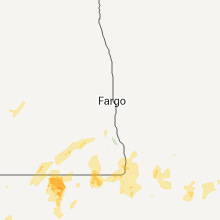 they will relay your report to the national weather service grand forks. 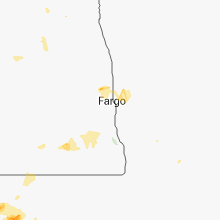 6/29/2016 7:24 PM CDT At 723 pm cdt, a severe thunderstorm was located near fort ransom, or 25 miles south of valley city, moving southeast at 20 mph (radar indicated). Hazards include quarter size hail. Damage to vehicles is expected. 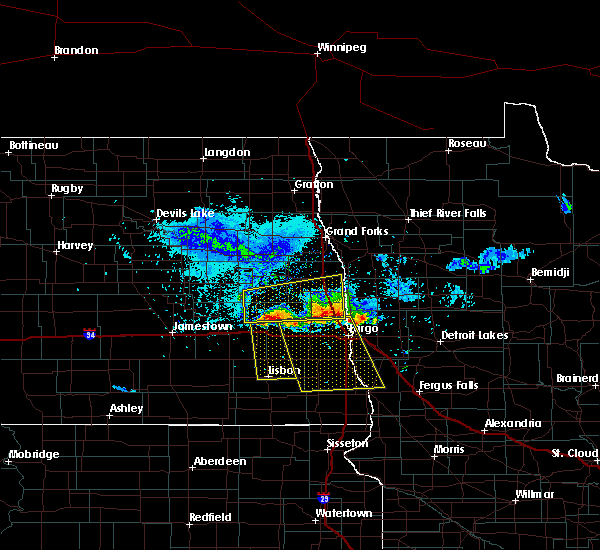 this severe storm will be near, fort ransom around 730 pm cdt. 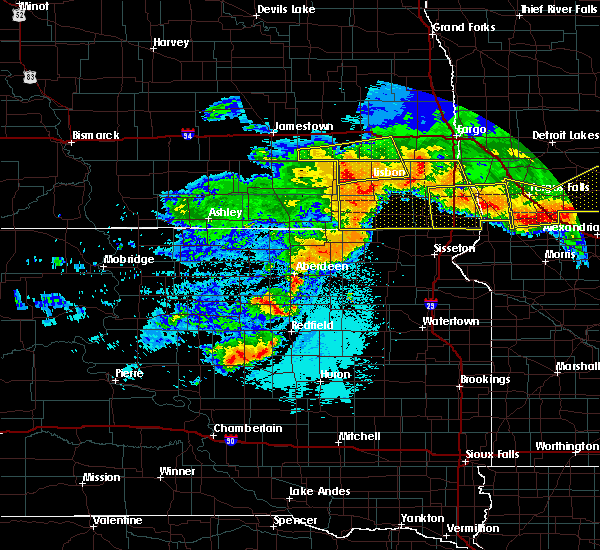 Lisbon around 745 pm cdt. 6/29/2016 6:57 PM CDT At 657 pm cdt, a severe thunderstorm was located near kathryn, or 18 miles south of valley city, moving southeast at 20 mph (radar indicated). Hazards include quarter size hail. Damage to vehicles is expected. this severe thunderstorm will be near, nome around 700 pm cdt. fort ransom around 720 pm cdt. 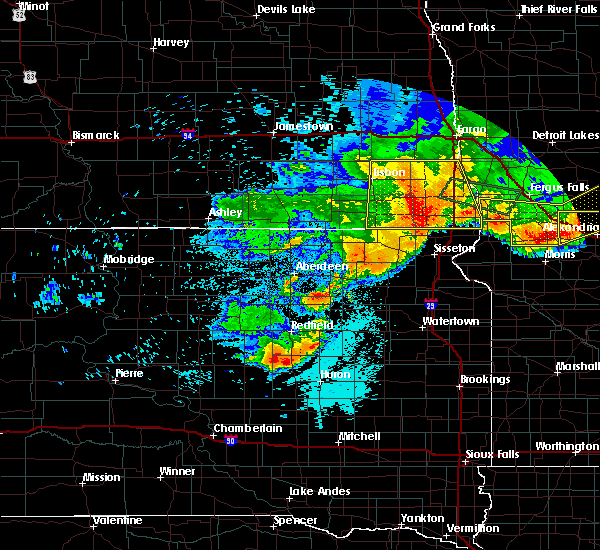 Lisbon around 745 pm cdt. 8/7/2015 6:53 PM CDT The severe thunderstorm warning for southwestern cass, ransom, southeastern barnes and northwestern richland counties will expire at 700 pm cdt, the storm which prompted the warning has weakened below severe limits, and no longer pose an immediate threat to life or property. therefore the warning will be allowed to expire. 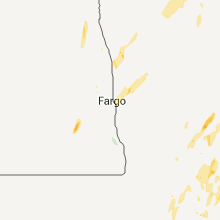 8/7/2015 6:31 PM CDT At 629 pm cdt, a severe thunderstorm was located near lisbon, or 32 miles southeast of valley city, moving east at 20 mph. a second severe storm between buffalo and wheatland is moving to the east northeast at 25 mph (trained weather spotters one inch hail south of valley city on the northern storm). Hazards include half dollar size hail. Damage to vehicles is expected. 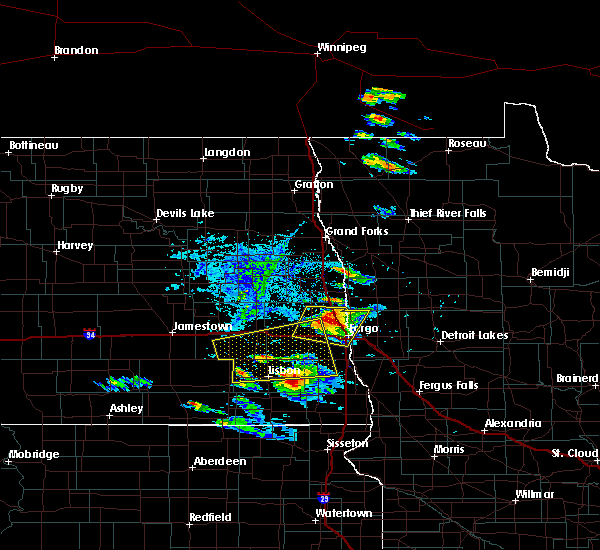 this severe storm will be near, enderlin around 635 pm cdt. 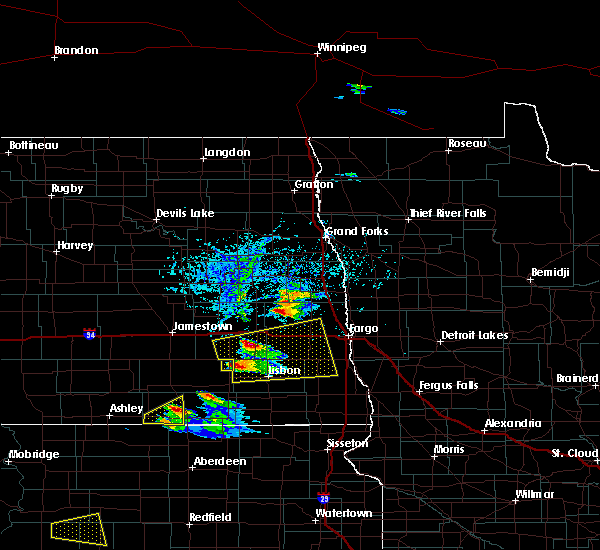 sheldon and anselm around 640 pm cdt. venlo around 645 pm cdt. 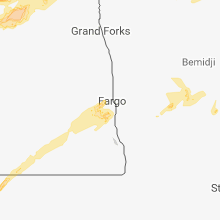 Also includes interstate 94 in north dakota between mile markers 301 and 338. 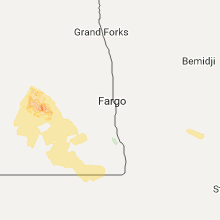 8/7/2015 5:55 PM CDT At 554 pm cdt, a severe thunderstorm was located near fingal, or 12 miles southeast of valley city, moving east at 40 mph (radar indicated). Hazards include half dollar size hail. Damage to vehicles is expected. this severe thunderstorm will be near, nome around 555 pm cdt. fingal around 600 pm cdt. lucca around 605 pm cdt. tower city around 610 pm cdt. 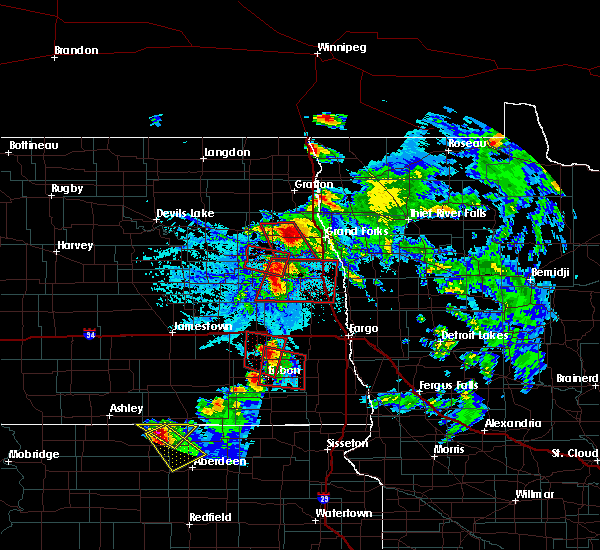 alice around 615 pm cdt. Also includes interstate 94 in north dakota between mile markers 301 and 338. 7/23/2015 11:20 PM CDT At 1120 pm cdt, severe thunderstorms were located along a line extending from near sanborn to near grand rapids, moving east at 45 mph (radar indicated). Hazards include 60 mph wind gusts and nickel size hail. Expect damage to roofs. siding and trees. these severe storms will be near, valley city around 1130 pm cdt. 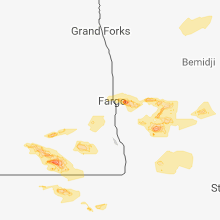 Oriska, englevale, fort ransom and elliott around 1145 pm cdt. 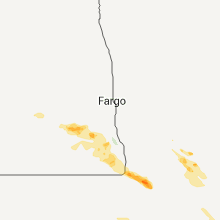 7/23/2015 10:58 PM CDT At 1058 pm cdt, severe thunderstorms were located along a line extending from near spiritwood to near dickey, moving east at 55 mph (radar indicated). Hazards include 60 mph wind gusts and nickel size hail. Expect damage to roofs. siding and trees. 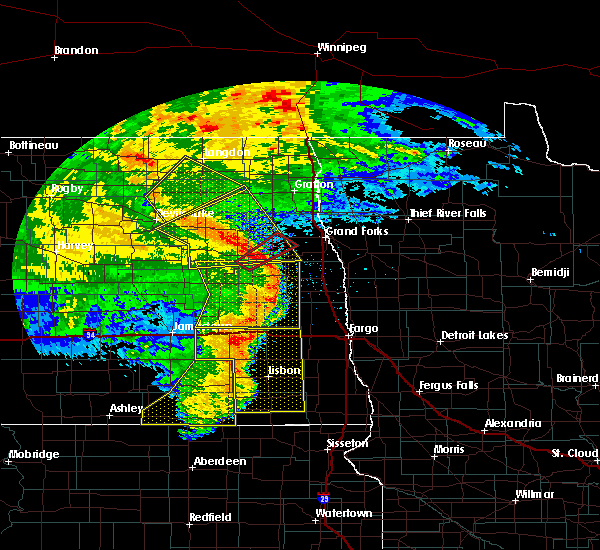 severe thunderstorms will be near, urbana around 1100 pm cdt. 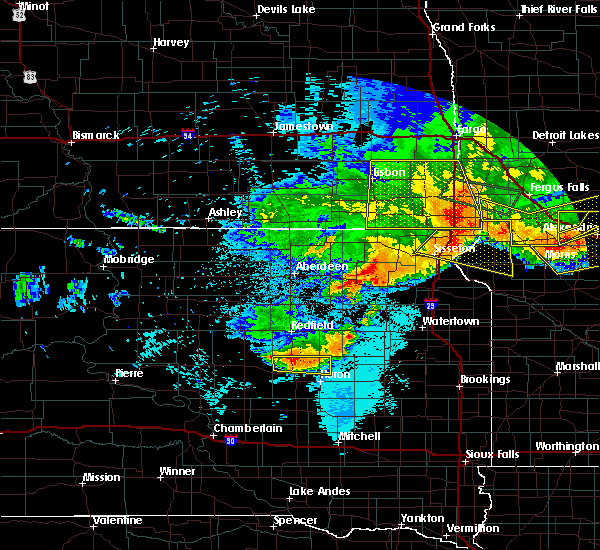 eckelson around 1105 pm cdt. sanborn around 1110 pm cdt. valley city around 1125 pm cdt. Englevale and fort ransom around 1130 pm cdt. 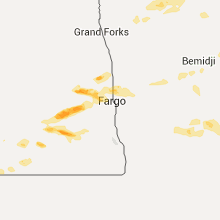 6/27/2015 5:55 PM CDT At 555 pm cdt, a severe thunderstorm capable of producing a tornado was located over enderlin, or 30 miles southeast of valley city, moving east at 20 mph (radar indicated rotation). Hazards include tornado and golf ball size hail. Expect damage to mobile homes. roofs and vehicles. 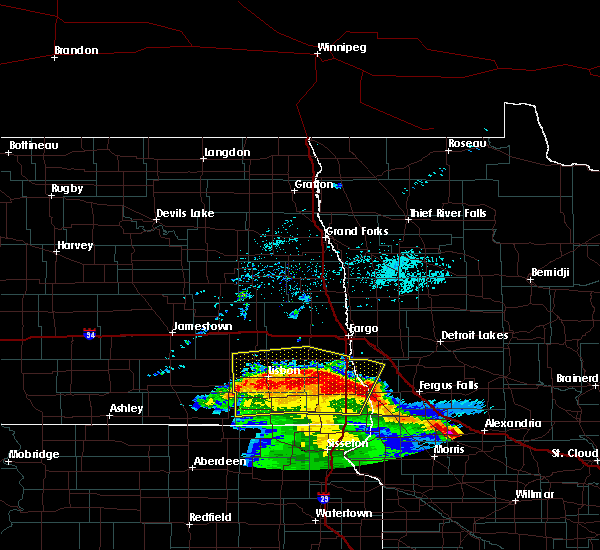 this dangerous storm will be near, sheldon around 605 pm cdt. 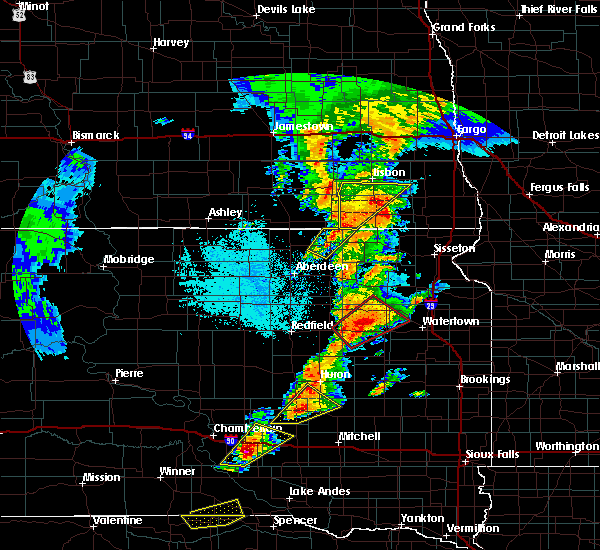 anselm around 610 pm cdt. Venlo around 620 pm cdt. 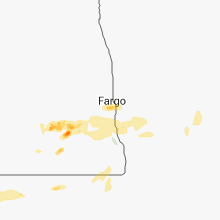 6/27/2015 5:42 PM CDT At 541 pm cdt, a severe thunderstorm capable of producing a tornado was located near enderlin, or 24 miles southeast of valley city, moving east at 25 mph (radar indicated rotation). Hazards include tornado and half dollar size hail. Expect damage to mobile homes. roofs and vehicles. 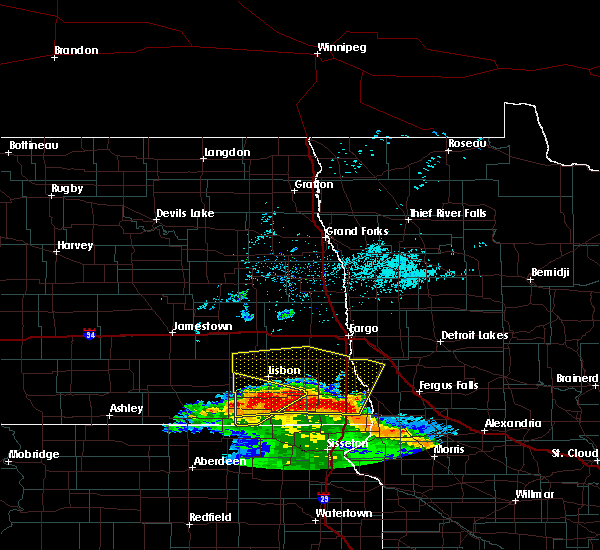 this dangerous storm will be near, enderlin around 550 pm cdt. sheldon around 600 pm cdt. Anselm around 605 pm cdt.